I went vegan a few months ago for numerous reasons and people often ask me whether it’s hard. My standard answer usually includes something like, ‘it’s easy when you cook yourself’, or ‘you’ve got to change the way you think’, or ‘there are so many amazing vegan restaurants in my home town Glasgow’. 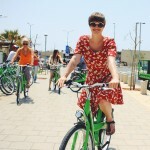 But there is one aspect of my life, when I admit, it gets tricky to stick to a vegan diet – travel. When I recently decided to travel to Paris for a conference and to visit a friend, I knew it would be hard. France to me is all about delicious cheeses, delicate meats and sinful pastries – and I wouldn’t be able to dig into any of them. While I didn’t think I’d miss out by not stuffing my face with macarons, I was aware that it might be difficult to find vegan options at all. But fear not, my fellow vegans – or experimental foodies – it was actually fairly easy to be vegan in Paris! 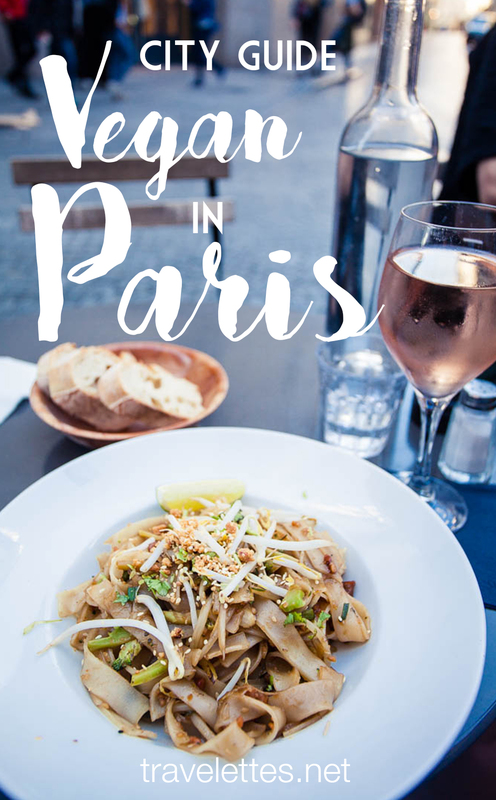 Let me tell you more about some cool restaurants and top travel tips for vegans in my vegan Paris city guide. Traveling as a vegan comes with its challenges, particularly in countries where the local diet is heavily based on meat and dairy products. 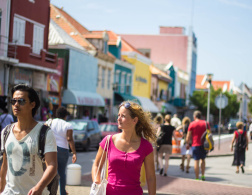 While I find it generally easy in Europe, North America, parts of Africa and Asia, I could not even imagine how difficult it would be in South or Central America (based on the experiences I made with local cuisine there on past trips). 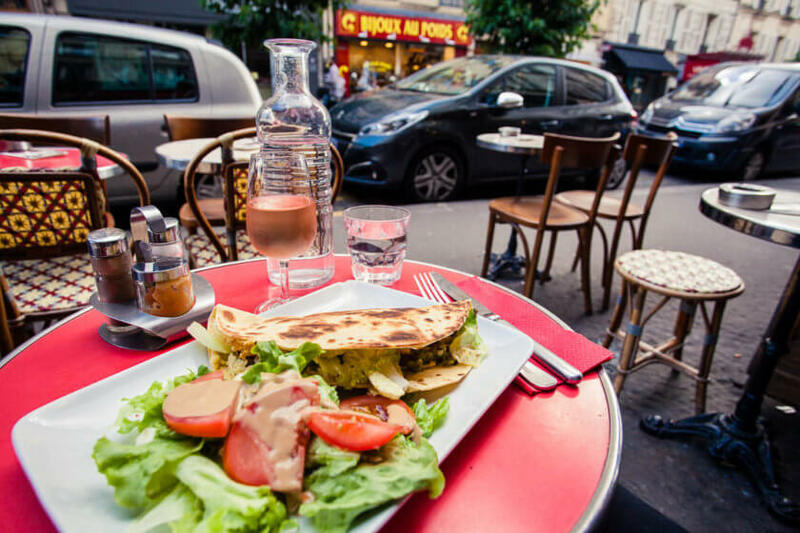 In Paris however, like in any other large European city, veganism and just generally a more reflective attitude towards food is increasingly popular. While it is less common for omni-restaurants to have many vegan options (more on that below), there are many vegan restaurants and cafes. If you haven’t already done so, I recommend the free app Happy Cow, which is a useful tool to find vegan, vegetarian and veg-friendly restaurants as well as health stores in your surroundings, wherever you are. Entries are community-controlled, which means anybody can sign up for free, leave reviews or add restaurants with vegan options to the app! One thing I do have to say is that a lot of vegan places are only open for lunchtime, so it is even more important to research and plan for dinner options. Another thing is, that many restaurants are closed on Sundays and/or Mondays – even during the busy summer months. Supermarkets and food shops become your best friends if you travel as a vegan, because often the easiest (and cheapest) option is to pick up a tub of hummus, buy a baguette at a boulangerie and some tomatoes or stuffed vine leaves from the veg grocer and have a picnic in a park – French style! In general, I would say traveling to Paris as a vegan requires a bit more planning and research into your food options. Sadly, it is not as easy as walking into the next best restaurant and finding vegan options everywhere. I usually make use of a well-tested technique: saving places to Google Maps so I always have them at my fingertips! 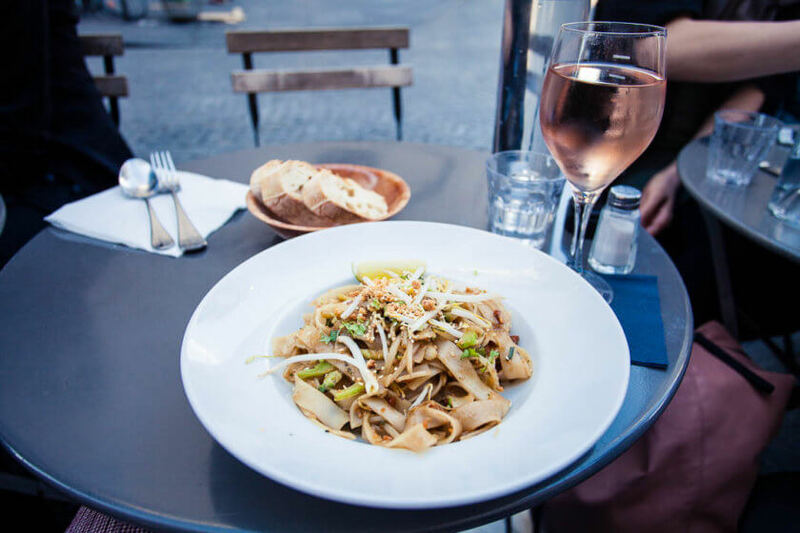 There are of course many more vegan restaurants in Paris, but a woman can only eat so much over a weekend… Browse my map above for some more places I had saved or the Happy Cow app for even more options. 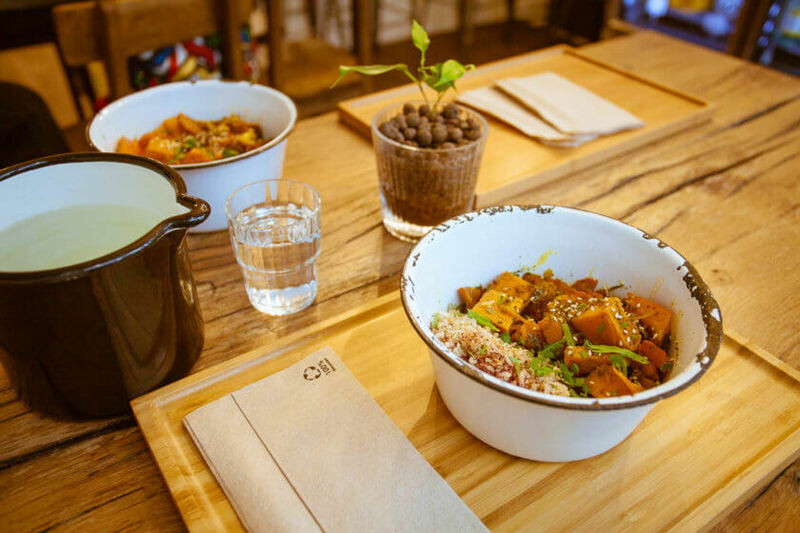 A green haven of vegan food and juices in the popular Le Marais neighbourhood. Wild and the Moon is mostly a cafe (no alcohol licence), but they serve a vegan hot and cold dish of the day. We had the Thai curry, while the cold option was a gazpacho. The place is filled with lush green plants and cool young Parisians meeting up for coffee. 55 Rue Charlot, 3rd arr. 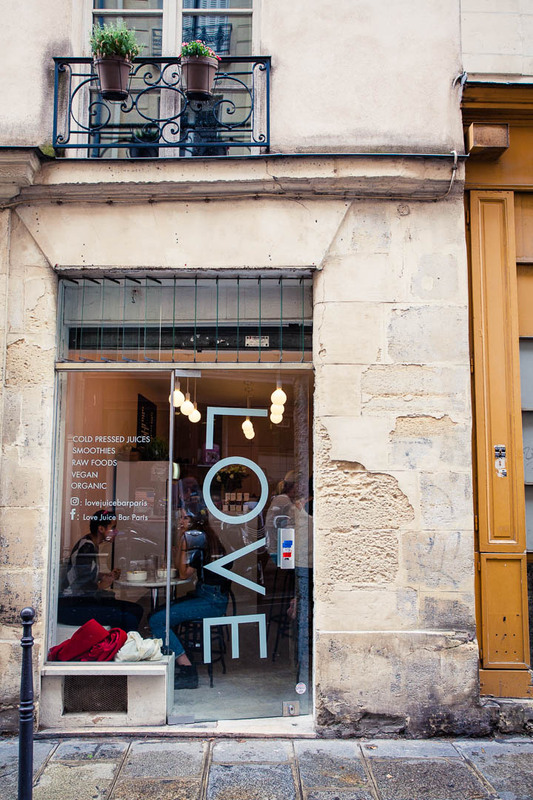 Tucked away in a tiny road off Rue Beaubourg is an even tinier juice bar called Love Juice Bar. Whether you like the name or not, the fresh juices and smoothies you can get here are divine! 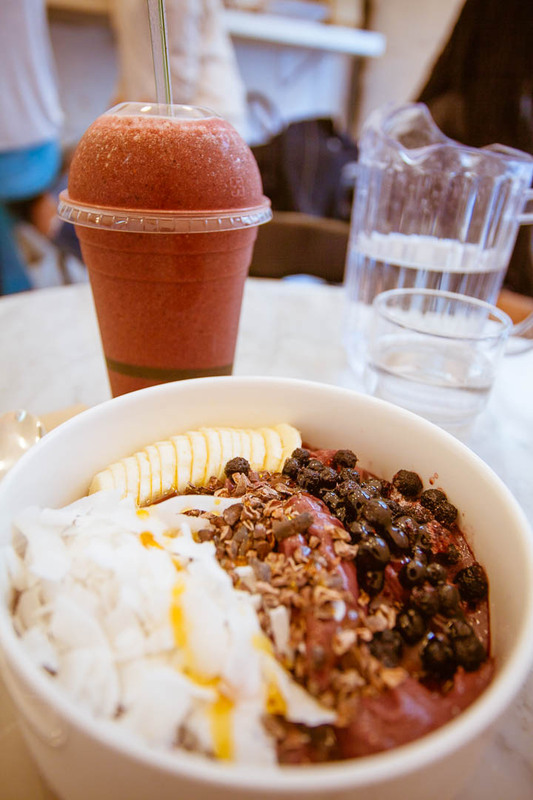 They also offer small dishes, such as insta-perfect acai and smoothie bowls or avocado toast. 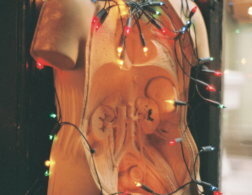 26 Rue Chapon, 3rd arr. I stumbled across this creperie behind the Université Sorbonne Nouvelle looking for a break from my conference. Well, look no further. The galettes (savoury crepes) in this place are made of buckwheat flour and water and you can choose a variety of veg toppings as well as vegan cheese. Sweet crepes can also be ‘veganized’ with plant-based milk and to top it off, I can recommend ordering a bowl of cider (I’m not sure whether it was vegan too). 4 Rue du Fer À Moulin, 5th arr. Just around the corner from Wild and the Moon, this branch of Cafe Pinson (there’s another one, but that’s only open for lunch and is more work-friendly) dishes up amazing vegan cuisine. 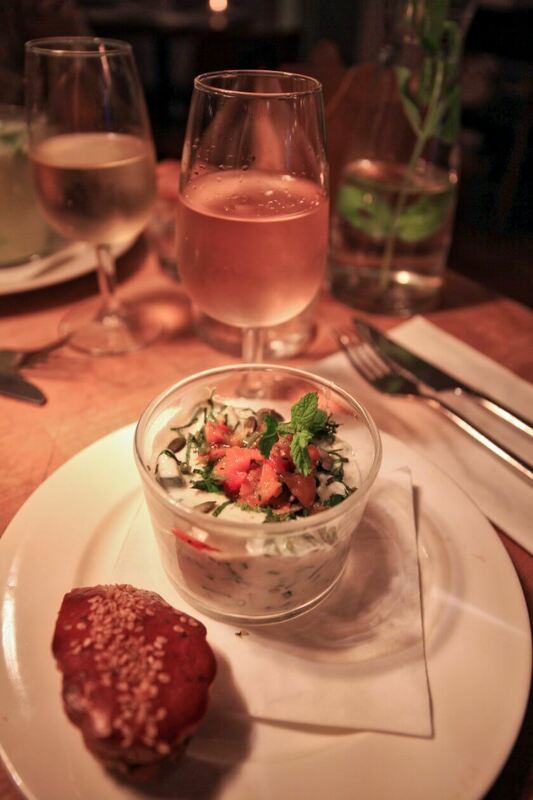 While the starters menu was a mix of vegan and non-vegan dishes, the main courses on the menu were all vegan. The food was definitely my favorite during my time in Paris and the vegan options were incredibly imaginative and generous! 6 Rue du Forez, 3rd arr. 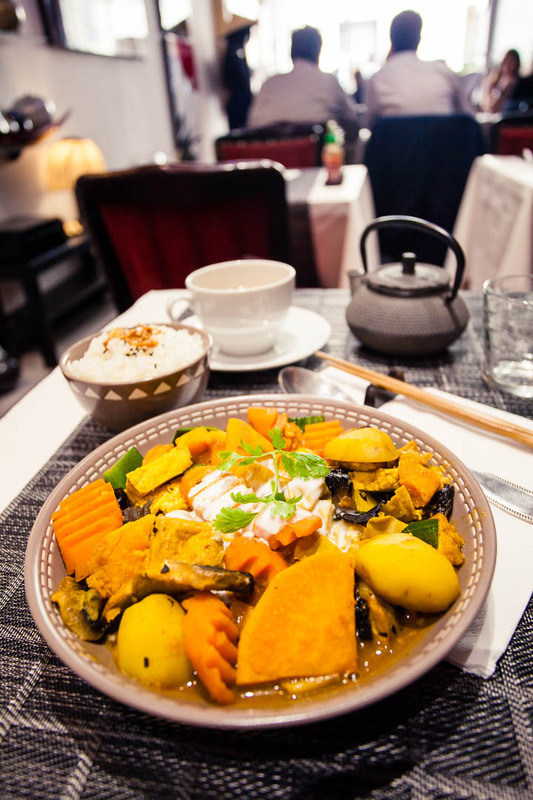 In the middle of the 2nd arrondissement, where I stayed, I found a little restaurant called Vietnam in Paris. It’s only open for lunch time and is a local favorite among people who work in the area. The authentic Vietnamese restaurant went 100% vegan in 2016 and serves up just a few options, like Pho or tofu curry. 48 Rue de Cléry, 2nd arr. 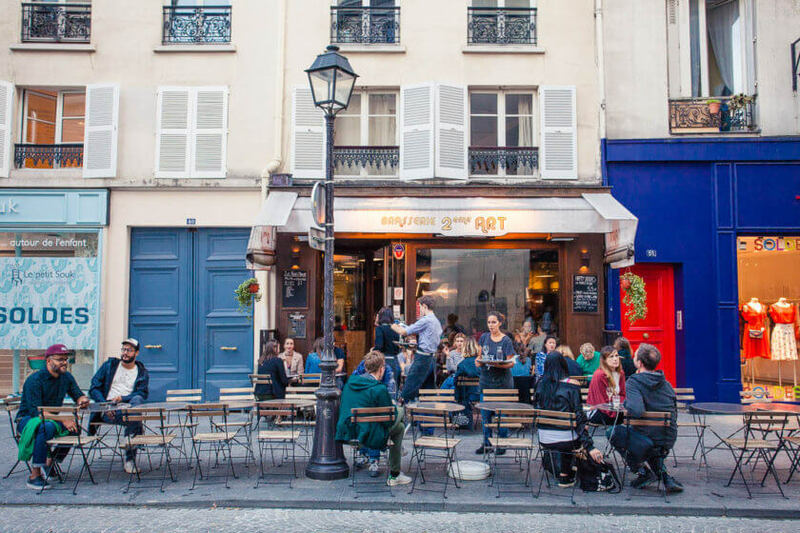 Excited to find a typical French brasserie with vegan fare, I sat down in the front row of outside tables at Brasserie 2eme art, ready for some people watching. I ended up ordering a vegan pad thai (because who can resist a pad thai), but together with a glass of rose, it made the perfect combination for a very French evening. 49 Rue Montmartre, 2nd arr. The gelateria Amorino gets a special mention here, because even though I didn’t miss the macarons, I would have been sad to leave Paris without indulging my sweet tooth at least once. 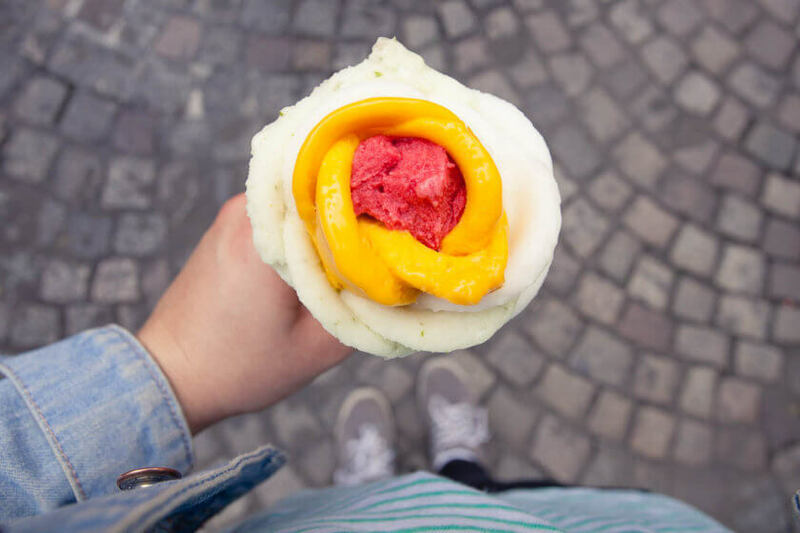 Amorino is a chain of ice cream shops with a variety of vegan sorbets on offer, as well as vegan/gluten-free cones. Plus: they make your ice cream look like a flower! Now, this is where it gets tricky for two reasons. 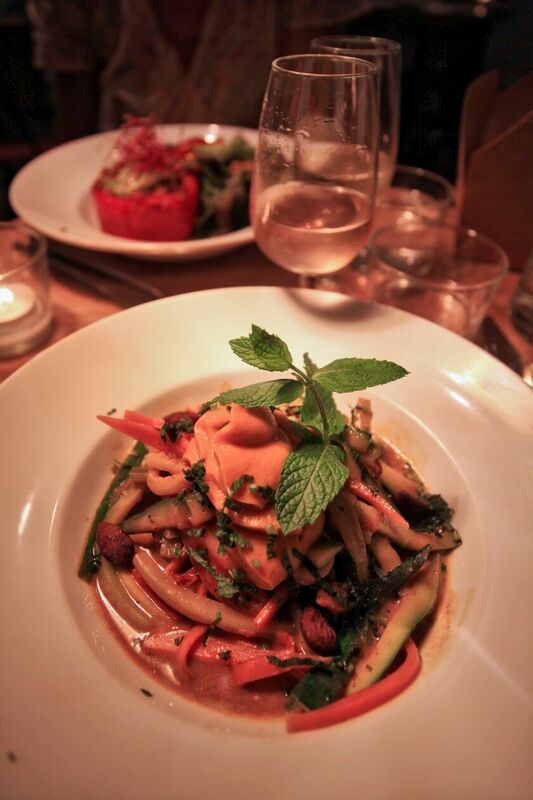 1) There are not many naturally vegan dishes to be found on traditional French menus. 2) It’s rather uncommon for restaurants to alter dishes to meet dietary requirements. 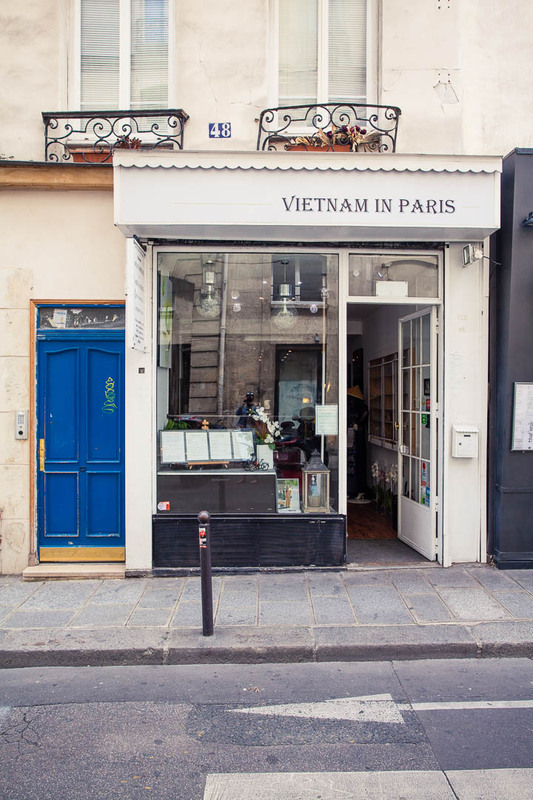 In advance of my trip, I dug through Paris Vegan, a blog that is all about vegan food in Paris. This article about vegan options in French restaurants might really useful, but be prepared that there are not many to chose from. Ratatouille is a safe bet, if the restaurant has it on the menu and is happy to serve it to you without the usual accompaniment of meat. I did not make any experience with asking for veganized dishes in a fine dining restaurant, however when I sat down for dinner at the brasserie Le Village (36 rue des Abbesses, Montmartre), the staff was happy to accommodate my request and served up an entirely vegan piadina! Admittedly, it’s an Italian dish, but the atmosphere was as French as it could be! So, is traveling to Paris as a vegan hard? My answer would be no – it’s actually a great way to dip into the various local cuisines and eat in less touristy places and among locals. Are you vegan? What’s your experience of traveling and finding vegan options? Happy Cow is such a great website/app - I use it regularly here in Hong Kong too! I'm not vegetarian or vegan, but I love eating at vegan places and am slowly making the transition. Thank you for providing this guide to Paris, complete with a Google Map - so helpful! That's amazing to hear! The last time I was in South America was even before I turned vegetarian, so all I remember is the meat :) Would love to go back though and see how to travel there as a vegan! Had no idea about the soya protein in supermarkets - that's really handy! Thanks for sharing this article! 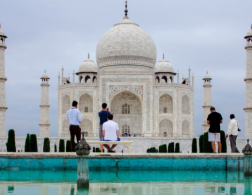 I would love love to see more vegan travel guides. It's hard to find good recommendations internationally. Will keep that in mind for future trips :) Definitely get the happy cow app wherever you go - made my life so much easier! Proud vegan / ARA here! I love the HappyCow app, it is def my go to! I've found so many great vegan restaurants that way. I was just in Mexico, Puerto Vallarta to be exact & they had TWO all vegetarian (mostly vegan, I'd say like 70%) buffets. I was like Whhhaaaattt!!!! Yes. I also surprisingly had THE best Italian of my entire life whilst in PV. It was called Veggitaliano & I went there twice it was so amazing. I'm def pinning this post for a future Paris trip. When I'm going, no clue, but one day! You are lucky to come to Paris in September, all the little spots will be open after a long summer break. If your mom is vegan and gluten free, I would strongly recommend her "La Guinguette d'Angèle". It is entirely gluten free and always has a choice of a vegan meal. 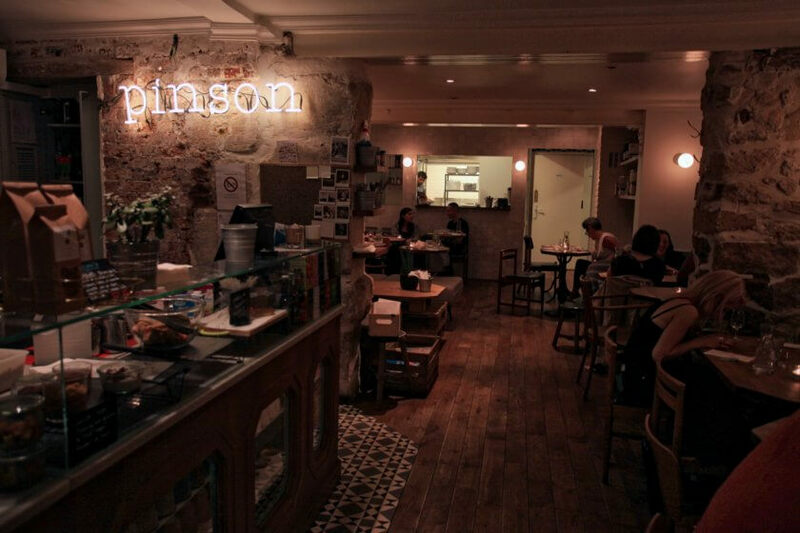 She has 2 addresses: one for take away and the other in the 11th arrondissement with seatings. A really really good bakery is "Chambelland", where you can enjoy one of the best gluten free bread made with rice flour. And a restaurant for evening, more dining: "Dune", located on 20 Rue Keller, 75011 Paris. And "Wild & the Moon" is gluten free and vegan. Keep me updated with your trip!! I've been vegan for 2 years now, vegetarian for 4... and wish I would have gone vegan sooner! I love this lifestyle, the food, helping the environment, the animals, my health.... and I love traveling!! I've been lucky perhaps because I have had a great time getting delicious food in different restaurants all over.... I just ask, and tell them that I am vegan. Everybody has been very accommodating and helpful! Great article! Really helpfull as I am about to leave for Paris in a few days . 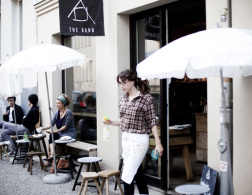 Although I am mostly raw vegan there are some nice tips for places I wanna definitelly visit. Thanks for that!